The record is made up of 1 volume (476 folios). It was created in 1 May 1933-15 Mar 1935. It was written in English and French. The original is part of the British Library: India Office The department of the British Government to which the Government of India reported between 1858 and 1947. The successor to the Court of Directors. Records and Private Papers. The volume contains papers regarding relations between Persia [Iran] and Iraq. It primarily concerns the frontier delineated by the 1913-1914 Boundary Commission, in particular Persian claims over areas of the Shatt el-Arab, and rights to oilfields in the Naft Khana [Naft Khāna] or Khaniqin [Khāniqīn]area. 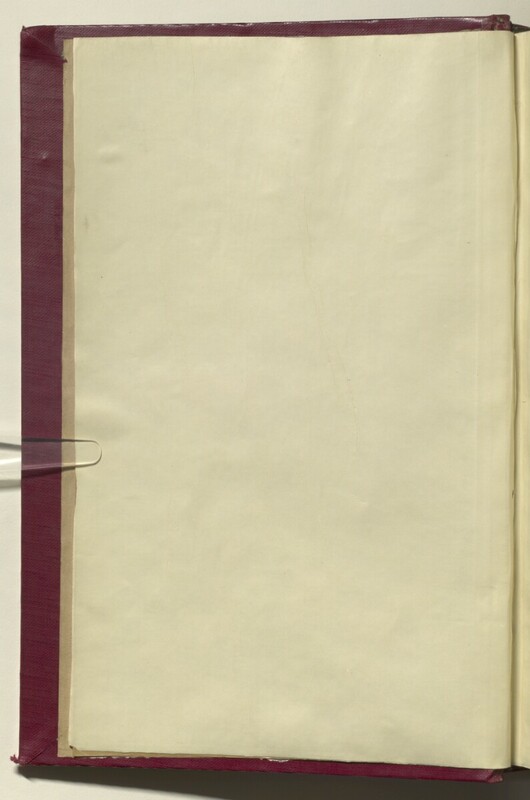 The papers document renewed negotiations over the border, and include discussion of the following topics: Iraqi concerns over Persian military activities conducted in Iraq; Persia's refusal to recognise the validity of the 1914 Frontier Delimitation Protocol; attempts to redraw the frontier at the Shatt el-Arab along the thalweg [valley way], as opposed to the medium filum aquae ; proposals to revive the Shatt el-Arab Conservancy Board Scheme; and proposals for an agreement to regulate the exploitation of the oilfields in the transferred territories on the frontier near Khanqin, including the proposed creation of a special zone. These papers primarily consist of correspondence between the following: HM Ambassadors at Baghdad, Teheran and Italy; the India Office The department of the British Government to which the Government of India reported between 1858 and 1947. The successor to the Court of Directors. Political Department; the Foreign Office (principally Sir John Simon, and J C Sterndale-Bennet); the Iraqi Minister for Foreign Affairs; and the Persian Minister for Foreign Affairs. In 1935 the Iraqi Government formally raised the question of the frontier with the Council of the League of Nations, and sought a Court ruling as to the validity of the 1914 Boundary Protocol. The Italian delegate to the League (Baron Pompeo Aloisi) was designated Rapporteur to the negotiations, and the volume contains correspondence between the Foreign Office and HM Ambassador in Rome, regarding a proposed Italo-Iraqi Treaty of Friendship, proposals regarding the frontier made by Aloisi, and general Italian influence over Iran and Iraq. The volume also includes copies of memoranda and minutes circulated by the League, in addition to correspondence regarding the negotiations in Geneva and Italy, and documents from the Committee of Imperial Defence Standing Official Sub-Committee for Questions Concerning the Middle East. The volume includes a divider giving a list of correspondence references found in the volume by year. This is placed at the end of the correspondence (folio 1). The papers are arranged in rough chronological order from the rear to the front of the volume. Foliation: the foliation sequence for this description commences at the first folio with 1, and terminates at the last folio with 472; these numbers are written in pencil and are located in the top right corner of the recto The front of a sheet of paper or leaf, often abbreviated to 'r'. side of each folio. The front and back covers, along with the two leading and two ending flyleaves, have not been foliated.